If you’re a student interested in the opportunity to do professional-level work in an office full of great people, a fall internship at NLIHC might be just what you’re looking for. Interns are highly valued and fully integrated into NLIHC’s staff work. We seek students who are passionate about social justice issues and have excellent writing and interpersonal skills. We’re looking for interns for four of our teams: Policy, Communication, Research, and Outreach. Policy interns track new legislation, attend and summarize Congressional hearings for Memo to Members, participate in visits to Congressional offices, and develop materials for use in lobbying the House and Senate to accomplish NLIHC’s mission. Sure, you’ll spend a little time updating the Congressional Database, but as a policy intern, you will join members of the policy team at meetings with Members of Congress and their staff, and go to important hearings on Capitol Hill. It’s a one of a kind experience you can only have in DC. Interested in research? 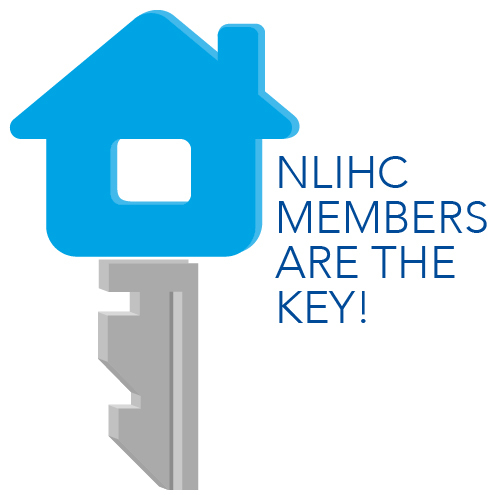 NLIHC is recognized as one of the foremost research advocacy organizations in the field of housing. As the research intern, you will take part in one or more of the ongoing research projects conducted by the NLIHC research team. You’ll gain in-depth knowledge of research methods, data sources and data analysis techniques used in the field of housing research while working closely with our communications and legislative operations. You will also become familiar with the ways that NLIHC combines research and advocacy in its mission to end America’s affordable housing crisis. Our outreach interns learn what it takes to run a successful issue advocacy campaign. NLIHC’s grassroots organizing work helped create the National Housing Trust Fund, and we’re continuing to work at the grassroots to get this essential low income housing program funded. As an outreach intern, you’ll work on grassroots organizing efforts for the National Housing Trust Fund Campaign and other legislative campaigns. You’ll also assist with membership prospecting, recruitment and retention efforts and internal database updates. This is great preparation for future work on any kind of campaign. Finally, if you’re interested in journalism, public relations, or social media, you would be a great fit as a communications intern. Our communications interns execute NLIHC’s social media strategy. Our interns also write and coordinate content for the NLIHC blog and select publications. It’s a high-exposure position that will provide you with a portfolio of work to show to prospective employers. Communications interns are also responsible for daily maintenance of the press contact database and press hit tracking, which will give you an inside look at what makes a successful press operation. or via email to bill@nlihc.org or fax at 202-393-1973. Please call 202-662-1530 x232 with any questions.